EXCLUSIVE: Adeel Akhtar, Kerry Fox, Sophie Okenedo, Antony Sher, Ben Chaplin among cast. Sixteen Films and Archer’s Mark thriller War Book is underway in London. 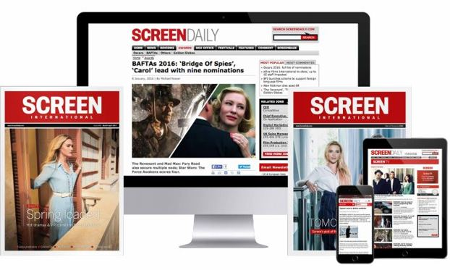 Director Tom Harper and writer Jack Thorne team on the feature, announced by ScreenDaily during Cannes. The ensemble cast comprises Adeel Akhtar (Four Lions), Nicholas Burns (Nathan Barley), Ben Chaplin (The Thin Red Line) Shaun Evans (Boy A), Kerry Fox (Bright Star), Phoebe Fox (One Day), Sophie Okenedo (Hotel Rwanda), Antony Sher (Shakespeare in Love) and Nathan Stewart Jarrett (Misfits). How I Live Now and A Long Way Down writer Thorne has scripted the thriller about the aftermath of an international nuclear attack, played out in the political backrooms of London. Lauren Dark of Sixteen Films produces with Harper, alongside Mike Brett and Steve Jamison of Archer’s Mark executive producing alongside Ivana MacKinnon of Stray Bear Productions. Harper is directing War Book ahead of Woman in Black sequel The Woman in Black: Angel of Death later this year. The writer-director duo also teamed on 2009 drama-thriller The Scouting Book For Boys.